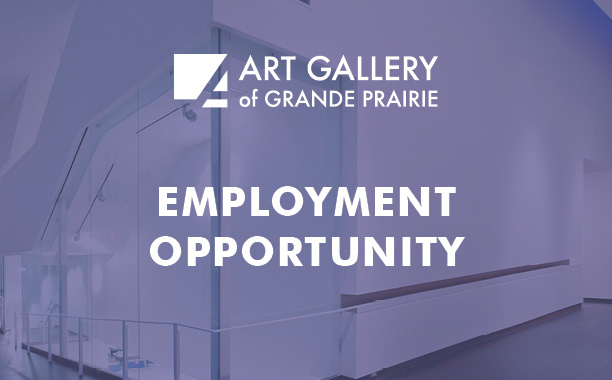 One of the largest square footage art galleries in Alberta, the Art Gallery of Grande Prairie is a place of art preservation, inspiration and exploration. We offer free admission, tours, programs, and activities for all ages. The Art Gallery presents an average of twelve art exhibitions per year and welcomes roughly 25,000 visitors annually while our traveling exhibitions will visit 25-30 venues annually throughout Peace Region, attracting a further 200,000 visitations. Reporting to the Executive Director, the Coordinator has responsibility for participating in all Gallery fund development activities; fundraising, grants, donations, sponsorships, memberships, foundations. They will establish relationships with the private and public sector and arts-based community stakeholders, identifying and leveraging events, exhibitions, public programs, and other activities, to enhance the Gallery’s visibility and the further development, diversification and expansion of its revenue base. The ability to work well independently on several projects concurrently and excellent verbal communication, writing / editing, organizational, creative thinking, problem solving and interpersonal skills. Strong initiative and customer service skills. Demonstrated experience in fund development practices and their adjacency to marketing, community engagement and networking. Demonstrated skills in event planning and report/grant writing. The ability to work independently and as part of a team and to respond to changing priorities in a fast-paced environment. A proven track record of establishing and meeting deadlines. Flexible, discreet and able to maintain confidential information, knowledge of correct protocol for specific situations. Experience and comfort with facilitation of committee meetings. Demonstrated ability to adequately use Microsoft Office applications, Adobe Photoshop, InDesign, website browsers and both Windows and MAC platforms. Demonstrated passion for the Arts and for life-long learning. Demonstrated high energy level and flexibility, pleasant persona coupled with sound judgment. The ability to work well in a multi-ethnic and multi-cultural environment. Download a printable version of this position.